KUIU recently added Toray’s new Dermizax® NX to their Award Winning Chugach Rain Jacket and Pant. This latest innovation now makes this rain gear TWICE as breathable with 200% four way stretch. The KUIU Chugach jacket and pants represent everything that Mountain Hunter’s dream of in rain gear. Lightweight, packable, breathable, waterproof, extremely durable and now stretchable, KUIU has worked to combine all the attributes that we demand from quality raingear. 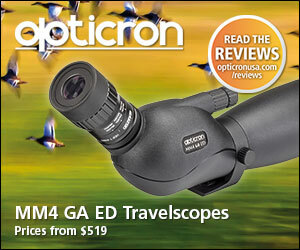 This product is incredible. Toray’s innovative, ground breaking Dermizax® NX waterproof/breathable laminate is why KUIU was created, to push innovation far beyond what Mountain Hunters thought possible in the manufacture of cutting edge products that are changing the way we hunt. Dermizax® NX’s breathability of up to 50,000 g/m2/24hrs and 200% four way stretch now allows the hunter or outdoorsman to wear a Waterproof Breathable garment in a much wider range of conditions, providing viable options that eliminate unnecessary bulk and weight. We now can carry lighter loads and still meet the critical needs of a safe and effective layering system. Toray’s Dermizax® NX has undoubtedly established a new standard for waterproof breathable membranes. This membrane is completely wind and waterproof. The feature that I find most amazing is that this material also provides 200% stretch in all directions. It is more breathable than any comparable fabric. Compared to Toray’s previous leading waterproof breathable membrane, Dermizax® EV, the breathability ratings have now doubled from 20,000 g/m2/24hr. to 50,000+g/m2/24hrs, which is definitely higher than any other known membrane rating. One unique aspect about Dermizax® is that all of the other product characteristics that were so popular in the original Chugach have remained unchanged. The new Dermizax® NX has not lost any waterproof or windproof abilities yet it has added breathability. The Dermizax® NX laminate is manufactured completely in Japan and undergoes strict production and quality controls. Dermizax® laminates are non-porous PU membranes, which are developed on a molecular level to create Dermizax® NX. Now the bonds of hydrophilic PU molecules can be controlled exactly and arranged in structures that strengthens the diffusion of water vapor molecules, increases that transmission rate and leads to higher respiratory activity. This makes the Dermizax® NX the perfect membrane for waterproof breathable gear. 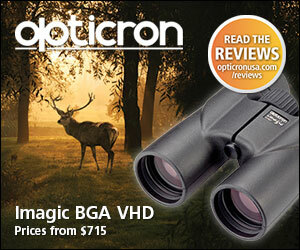 Who says that hunting in today’s world is not high tech? Although I live in a relatively dry state and hunt the diverse, high desert plateaus and convoluted canyons of southern Utah I can honestly tell you that there have been days out on the mountain when it was absolutely essential that I carried raingear capable of not only keeping me dry but would also protect me from the cold, bitter winds that can literally “blow right through you.” Having the ability to stay dry is critical to my safety when I’m out on the mountain where protective shelter is rarely available. This very important item of gear is so crucial to the safety of every Mountain Hunter out there. Hypothermia is not something that any of us want to have to deal with when chasing trophy animals and that is where staying dry and warm comes into play. One of the issues I have had with every piece of raingear that I’ve used for years is that when I had to hike while wearing it the material was not very flexible nor conducive to me moving freely. The old raingear was simply heavy and drenched me with sweat from the heat it created. There lay the two-edged sword; if I didn’t wear the raingear I got soaked and cold from the rain/snow while I still got wet from the internal perspiration and heat when I did utilize it. 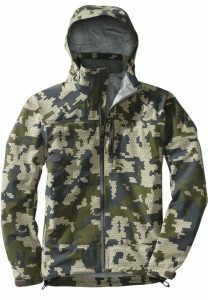 Now, enter KUIU’s state of the art Chugach raingear! Honestly, this raingear has been just like “manna from heaven for me.” The Chugach Dermizax® NX is not only extremely breathable but it doesn’t constrict my movement, allowing me to hike freely. Wow, now that is a major breakthrough! This raingear is just what I’ve been searching and dreaming for. It is absolutely great. Encountering a very cold and wet fall storm several weeks ago on a desert sheep hunt I didn’t hesitate to reach into my backpack for this lightweight, waterproof, and very packable raingear. Within a minute I had the pants and jacket on. With zippers on the pants that extend all the way up to your thighs I was able to get the raingear on over my boots without sitting down and pulling “for all I was worth.” LOL This feature in itself makes the Chugach a winner in my book! With this zipper system I also have the ability to access the pockets of the pants I’m wearing underneath the raingear without having to pull the Chugach pant down. I don’t know about other hunters but the built in zip fly is great as it allows you to easily go to the bathroom which was a problem with other raingear. The zippered pockets, pit zips and storm hood on the jacket are extremely well designed and functional. All I can say is that KUIU spent a lot of time in thinking about what hunters needed in regards to the overall design of this raingear. I was totally thrilled with how the Chugach performed. It not only kept the cold wind from blowing through me but it kept me dry. I was surprised at how quiet and tough the material was when moving through thick vegetation. Excellent construction! At all times I felt confident that the material wasn’t going to tear or get a hole in it that would create additional issues while out in the field. I was able to hike extensively without having to worry about getting absolutely drenched in sweat. This doesn’t mean that you won’t sweat when hiking hard however! Toray’s Dermizax® NX really does work! The Chugach raingear isn’t cheap but I highly recommend the purchase of this critical gear as you can expect the highest quality for what you pay. Both the rain jacket and pant will run you $299 each but are worth the price if you demand the best in your gear. If you are willing to spend that much money on raingear then you definitely should expect it to not only perform but provide you with years of quality use. You should also have high expectations of quality Customer Service that I have found KUIU to offer. I’ve not been disappointed for a minute in this important investment. I have a lot of raingear but my KUIU Chugach is the raingear that I reach for knowing that I can count on it to not let me down in the most difficult weather conditions. The Chugach is available in both Visa and Verde camo patterns. It took me a while to get used to both patterns but I can now say that I really like both of them. Please remember that you won’t find KUIU clothing or gear in any of the outdoor stores or catalogs. Jason Hairston chose to market KUIU by not using any retailers. 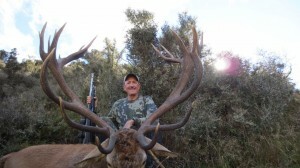 He keeps the middle-man out of the process and only sells online direct through the KUIU website. 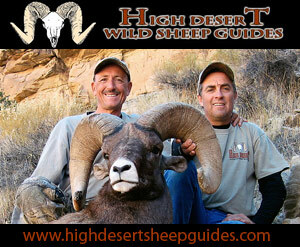 This was a conscious effort to provide hunters with the very best products and to keep the prices down. 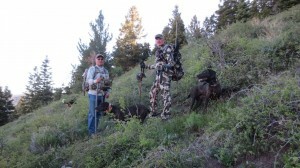 You should seriously consider checking out KUIU’s blog for updates and information on their website at www.KUIU.com. If you are really into technology then KUIU can also be followed on Twitter (@KUIU) and Facebook (www.facebook.com/KUIUultralight). I really appreciate the fact that Jason and his team don’t hesitate to ask you, their customers, to give them direct feedback on your experience with any of their gear, good or bad. 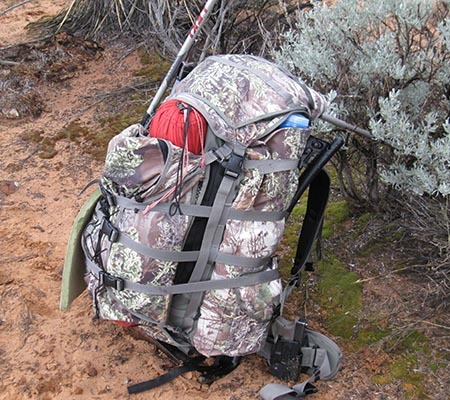 KUIU’s customer service is has always been outstanding and they are extremely customer oriented. Jason’s team at KUIU are always willing to treat you as if you are one of their tight knit Mountain Hunting family. 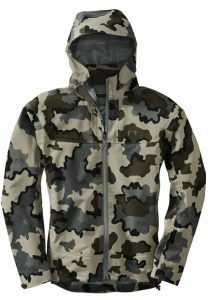 KUIU’s Chugach raingear “scores touchdowns.” I can’t find fault with the design or material although I keep expecting technology to continue to find lighter ultralight materials. Keep up the great work Jason and KUIU. As always, I appreciate your vision and the fact that you listen to your customers, the Mountain Hunting community! Thanks for reading my reviews everyone. Good luck and continue to “keep your boots” warm for your next adventure out on the mountain. 0 positive user reviews 1 negative user reviews. Beware.. My Chugach rain pants ripped during their first hunting trip, the 4th day of a 10 day horse back grizzly hunt in BC. 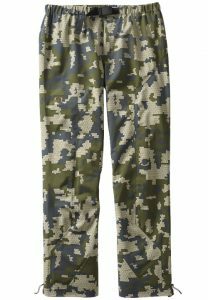 Kuiu would no provide a refund or credit against an updrade to the Yukon pants which they claim is more durable. I’d stay clear of this rain suit. My first disappointment was the sizing. I was convinced by a sales rep that their sizing chart was accurate and that the rain gear was oversized and designed to function as an outer layer. I am 6’0 205 and ordered an extra large. It arrived in a skimpy bag, was very thin and light, and fit as snug as a pair of jeans when placed over a single pair of fall hunting pants. The very first time I wore them out, I hiked into the woods through a thicket and climbed into my tree stand in the rain. By the time it got light, I noticed 4 small rips in the pant leg from contact with brush. When I called customer service the next day, I was brushed off and was told to send pictures and a letter of explanation to their service department and that they did not refund or replace over the phone. No refund was ever issued. 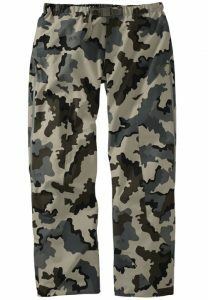 These pants may be lightweight and stretch in multiple directions, but they are thin, cheap and cannot compare to Sitka rain gear. Don’t waste your $.